Flipkart and Xiaomi grew the overall smartphone demand whereas Amazon and OnePlus grew the demand in premium segment across online channels throughout the year. 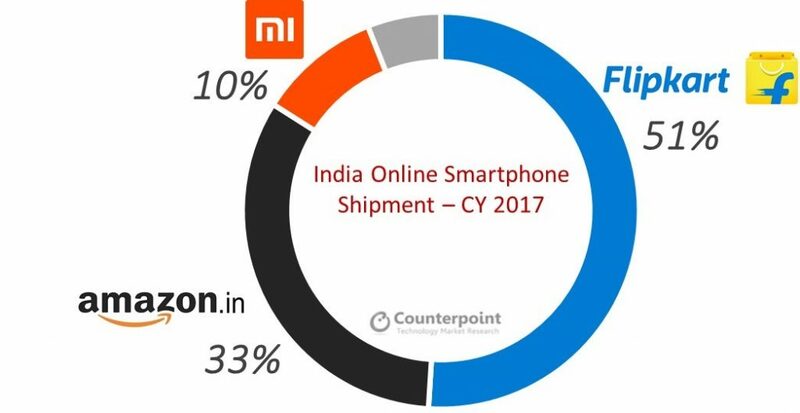 According to the latest research from Counterpoint’s Market Monitor service, India’s overall online smartphone shipments grew 23% annually, faster than the overall smartphone market in CY 2017. Seasonal sales events, aggressive promotions and value for money offerings from Chinese brands drove the demand for the online channel. 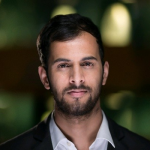 Commenting on the competitive landscape, Tarun Pathak, Associate Director at Counterpoint Research said, “Online channel contributes to more than one third of the total smartphones shipped in India during the year, which is the highest in the world. Flipkart led the online smartphone channel capturing more than half of the market in both volume and value terms maintaining its lead with Amazon. However, Amazon also able to grow share capturing almost one third of the market in volume and value terms. Indian online channel market has become a duopoly with Flipkart and Amazon capturing a combined 84% of the total volume and 87% of the total value. Together Flipkart and Amazon were able to attract a lot of brands and consumers on their platforms by launching close to 100 exclusive model SKUs throughout the year. However, these platforms will have to adopt multiple strategies from increasing number of serviceable ZIP codes, hybrid offline stores and customer service kiosks to attract and gain more users to the platform. 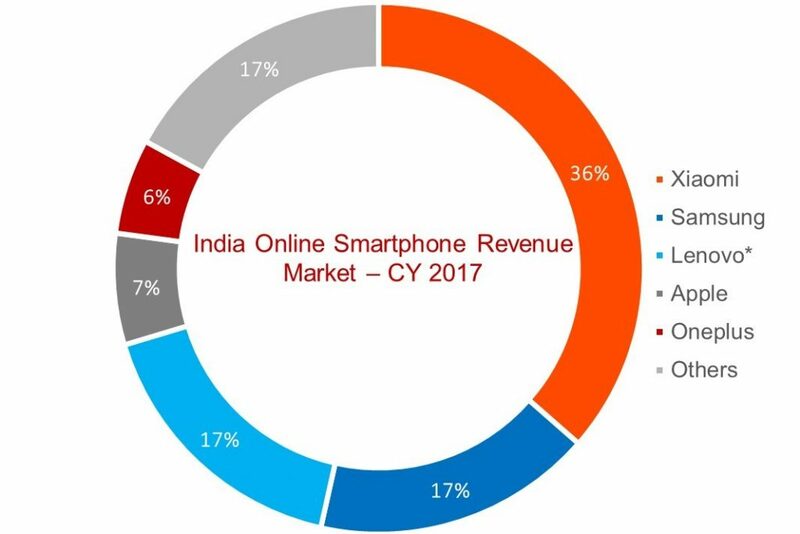 Indian online smartphone market shipments contributed to more than one third of total smartphones during CY2017 and grew by 23% annually. Online sale events like “Flipkart’s Big Billion” and “Amazon’s Great Indian Sale”, promotions and offers drove the market. We estimate that share of online channel continues to remain flat in 2018 as brands are adopting hybrid channel (Online+Offline) strategy to extend their reach throughout the country. More than half of the online smartphone channel volumes as well as value were dominated by Flipkart in 2017, followed by Amazon and Mi.com. 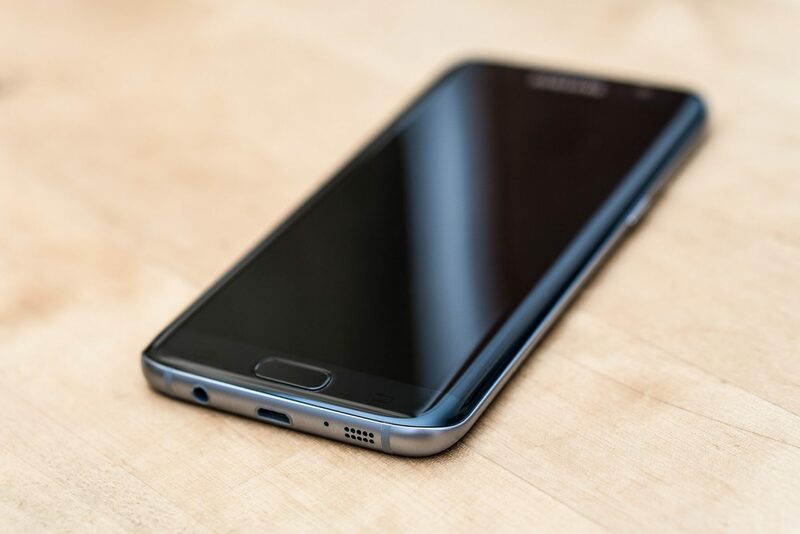 Online exclusive smartphones were the main contributors to online sale. Amazon contributed 63% to online smartphone premium segment shipments in CY 2017 driven by sales of Oneplus and Apple. Flipkart’s contributed to 31% of online smartphone premium segment. Paytm witnessed modest growth in 2017, most of this coming from the huge discounts offered on high-ASP smartphones like iPhone. Paytm has its work cut out for 2018 and needs to strike exclusive launches and partnerships as offering discounts might not be a sustainable long-term strategy. Top three online smartphone brands contributed to 75% of the online smartphone market. Xiaomi, Lenovo and Samsung were the top 3 brands on Flipkart as well as Amazon. Xiaomi, popular with name of Mi among users, led the online smartphone market with 44% share mainly due to its value for money offerings. Redmi Note 4, Redmi 4,4A were the top volume and value driver for the Chinese brand. This is helped Xiaomi to make a strong comeback and dominate the Indian market (more here) In 2017 after slowdown in 2015 and early 2016. The budget segment portfolio from Motorola Moto C and E and mid-segment Moto G helped Lenovo to maintain its second position. The world’s third largest (more here) and China’s leading brand (more here), Huawei regained focus in this important market, pivoting back to online segment with its Honor brand after scaling back its offline segment strategy from late 2016/early 2017. Models such as Honor 9 lite, 7X and View 10 Pro will help Huawei gain some share this year. Micromax is the only Indian brand which is present among the top five ranking driven by Canvas Infinity sales. Xiaomi, Huawei and Apple were the fastest growing brands in the online segment with 219%, 126% and 105% annually in 2017. Online smartphone market ASP was ₹11,500 growing 10% annually and is 5% higher than offline channel. Close to 100 exclusive smartphones were launched on online platforms in 2017. Smartphone brands are also launching special edition smartphones like specific color variants. Online-only brands are now expanding to offline for growth. Xiaomi is expanding its reach with Mi preferred partners, Mi homes while Motorola is expanding with Moto Hubs. The comprehensive and in-depth Q4 2017 Market Monitor is available for subscribing clients. Please feel free to contact us at press(at)counterpointresearch.com for further questions regarding our in-depth latest research, insights or press enquiries.